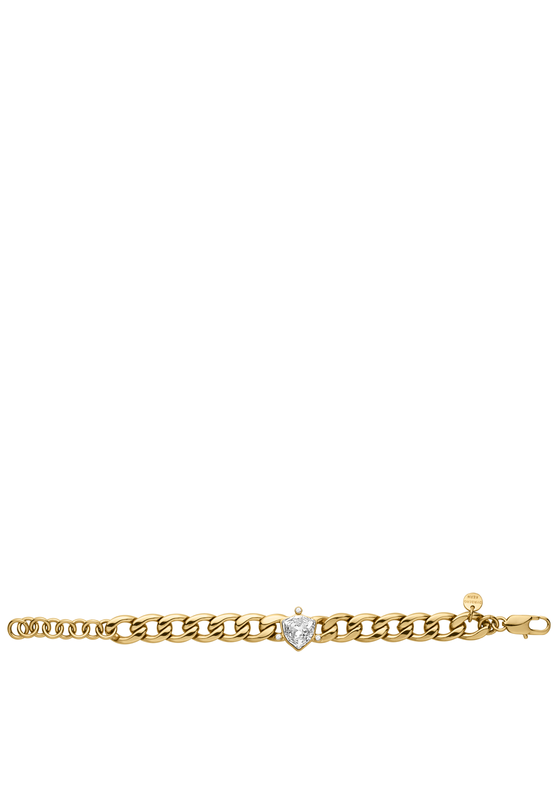 This stunning Trillionia gold plated bracelet from the Dyrberg Kern jewellery collection has a chunky design. The Trillionia bracelet closes securely with a lobster style clasp. It features a single crystal stone in the centre of this stylish bracelet.